Since 1984, Corporate Disk Company has been a trusted partner to thousands of clients to produce, manage, and deliver information and products. 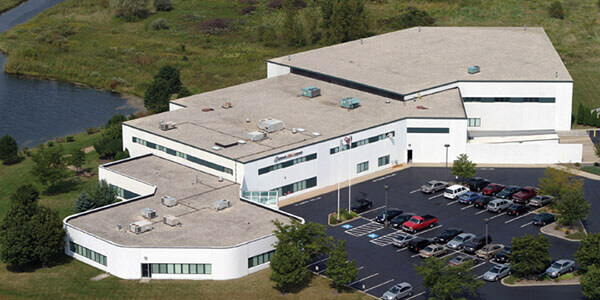 Located in McHenry, Illinois – Corporate Disk Company focuses on providing printing, manufacturing, and fulfillment solutions that our clients need in order to be successful. Our main focus is helping our customers and clients strategically manage their products or info-products from the ground up. Whether by manufacturing, producing, or fulfilling your products… We’ve shown constant commitment to the quality of our products, to our capabilities in product fulfillment, and to the clients that we help. Founded on trust, and grown with commitment, we strive to be a leader in producing custom consumer products for many applications and industries. We produce and refine all the resources needed to mold your ideas into an actual product, and we work with you to help fulfill and ship your products all over the world with real-time tracking information and integration! We show flexibility in our products by offering totally customizable items and a wide variety of product choices, as well as produce quality products with the materials we use to produce them. See what people are saying, and when looking for a product manufacturer and fulfillment center know that we’ve help thousands of people with quality products and fulfillment services for decades. Help you do more of what you do best, by having us do what we do best. Provide high quality and cost effective products and solutions. Deliver your products when they need to be there. Continuing to be your partner year after year after year.